Who is the best DJ in Jamaica? 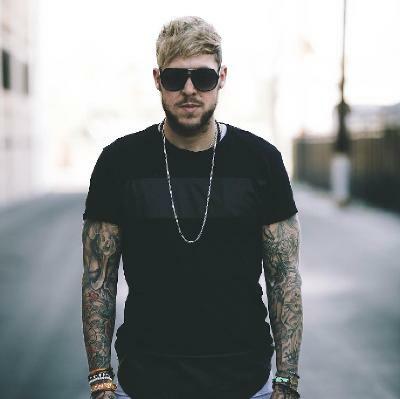 Ben Nicky, this talented young International DJ/ producer emerging from the UK trance scene has been hailed as one of the hardest working artists in the trance scene by the worlds no 1 DJ Armin Van Buuren. "Over the years I have DJed in a variety of countries and over that time you start to see patterns within crowd reactions. I always enjoy reading the crowd and seeing which music seems to get the best reaction. " Tell us, what does a normal day in the life of Ben Nicky involve? No problem. A normal day where I am not touring is actually pretty mundane and boring, I hate it when I have free time to be honest. When I am home in the UK you can normally find me in the gym, cooking some crazy healthy recipe or working on music in the studio. What makes your style unique among others? I play very short tracks, I edit it for 3 minutes, I dont wait for 5 minutes for the break. In the old days, in the 90s it worked but now crowd get bored very very easily and lots of fans in the crowd are not always knowledgeable in Trance, so I keep their excitement & anticipation, I mix really quickly, lot of energy quite similar to Eddie whos playing with me tonight. Anyone who seen me DJ will tell you Im quite energetic, I like to mix mashups & exclusives no one got. Which aspect of your profession do you prefer; creating new sounds in the studio or getting behind the decks in clubs? So I guess I love both. I am a lot more confident at DJing than producing and I dont doubt myself at all when it comes to spinning decks but production is something that has a lot more skill to it. I dont think you can ever learn enough as a producer and I still have a lot I want to learn. Where do you get your inspiration from when working in the studio? I try not to conform to conventional patterns when writing new music. I take influence from many other music genres which I think helps when you come to writing blocks and lack of motivation. Some of the tracks I have done have had chord progression influences from bands such as Metallica, Kiss + Foo Fighters so I guess I just like to be different and try and incorporate many different styles within my trance sound. Whats your relationship with social media? but I like to have a really good interaction with my fans to make them feel what they read its truthful, without that I would not have stood where i am now. Whats your current opinion of the Trance Scene & what the future hides? Im not really a political person, I only worry about myself. I dont really care about what other people do as long as I am happy, I am busy & I can make people happy with my music, thats what matters. The hardest sound is definitely coming back again, it keeps going into circles but everybody who knows me know that Im loyal to my sound & my fans so I wont change. Its a hard question to answer, I just worry about myself. Paul van Dyk himself has been a big advocate of yours throughout your career so far and you have toured with him a number of times already. Whats it like to work so closely with one of the trance scenes iconic artists and pioneers? Paul was one of my idols when I first starting DJing and he has been a great mentor to me over the years. I have signed multiple tracks to his Vandit Record label and toured with him in many amazing cities including Miami, Berlin + London. You will be seeing a lot more work between us in the near future so its an exciting time.